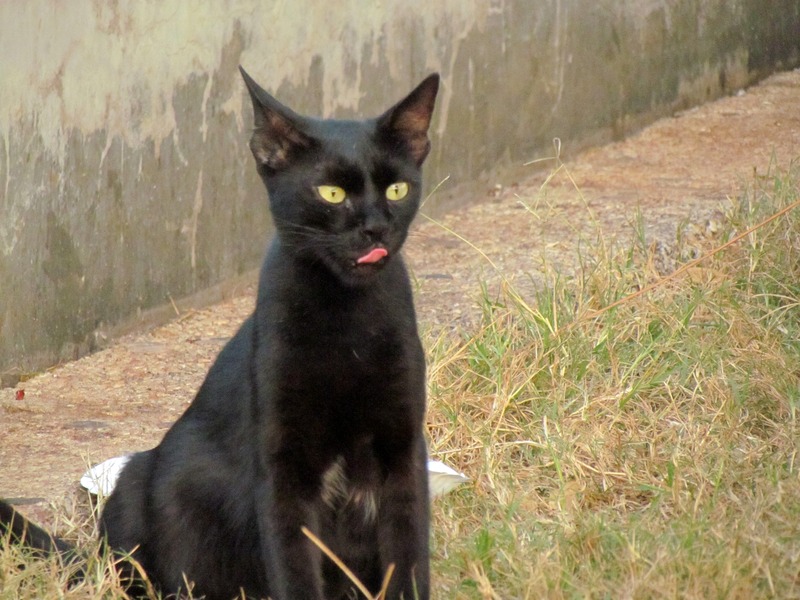 THE PAKAS OF ZANZIBAR (The cats of Zanzibar). 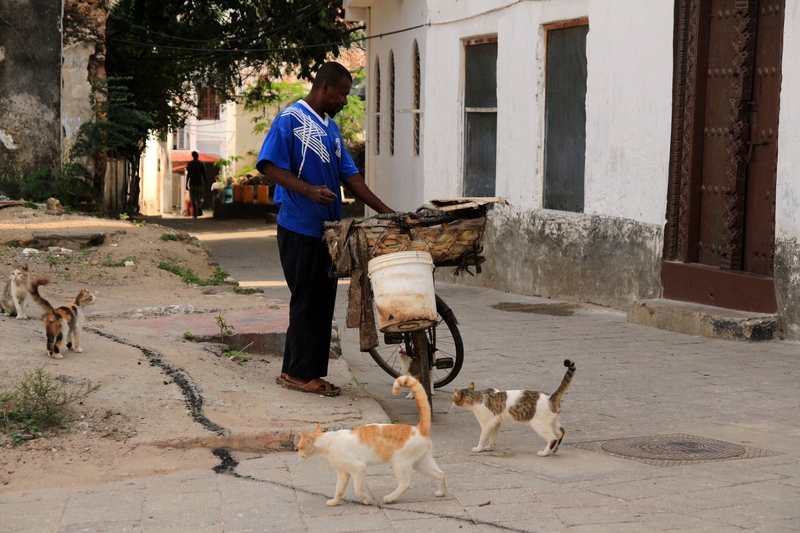 On our first visit to Zanzibar I noticed a lot of cats roaming around, in the alleys of Stone Town and all over the place. 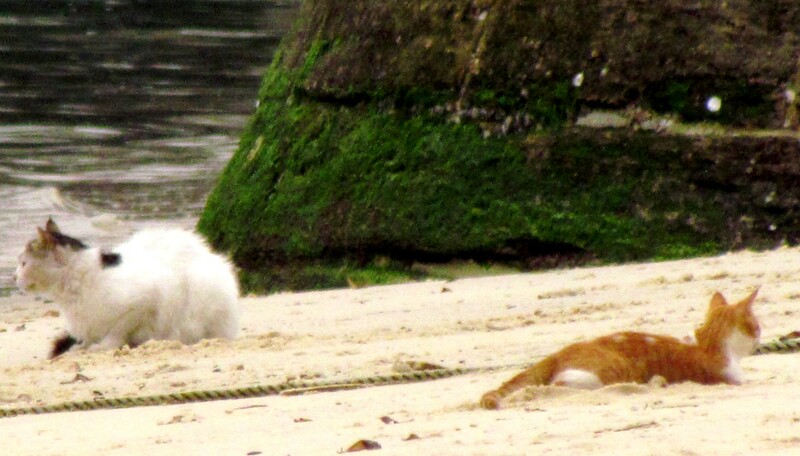 At the same time we saw that cats would also roam around the beach searching for something to eat in the flotsam that washed out during high tide. 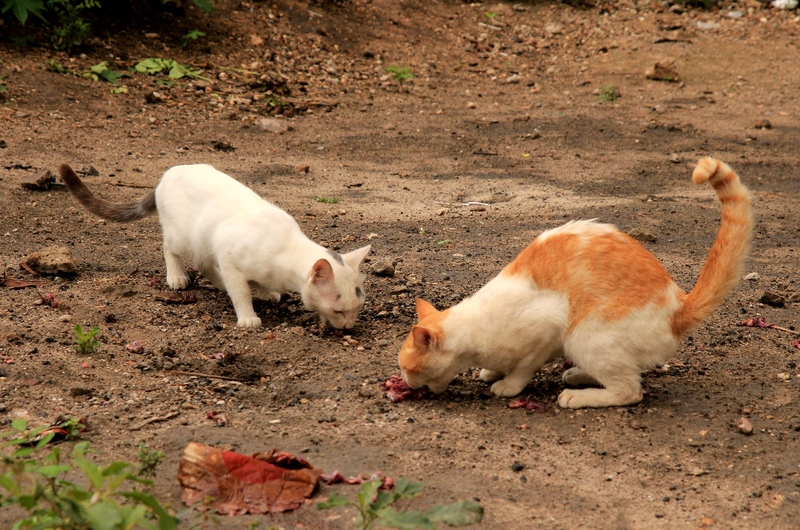 These cats preyed on my mind and I started to wonder about them. They never seemed perturbed at passing scooters, bicycles or people as they walked and slept in the alleys. Sometimes I noticed women feeding cats and I took it for granted they were feeding their own cats. But because it was our first visit to the island I did not spend too much time thinking about them…. On our second visit I started to notice that nobody really looked after the cats, even though some people did feed them. 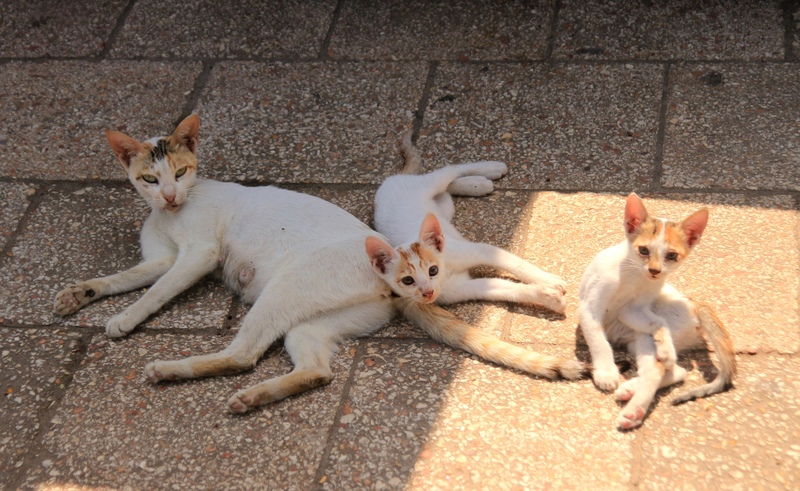 On one of our “how to get-lost” expeditions in the alleys, we walked past a place with a sign outside that said that it was sort of veterinarian NGO that took care mostly of the cats but also of the other animals on Zanzibar. That started to make me think about all the animals on the island. 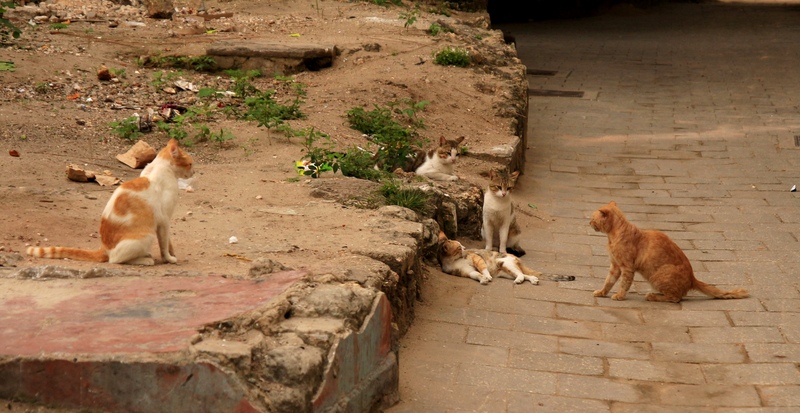 I also realized that we only saw a dog once on our first trip out to the spice farms, but never in Stone Town. 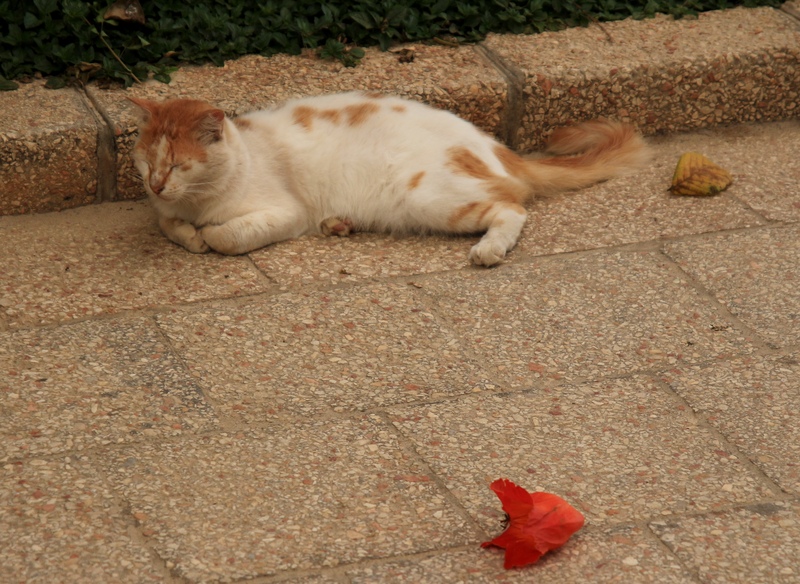 When we got back home a friend and I spoke about all the cats and she mentioned that in Turkey she also noticed a lot of cats that roam the streets but don’t seem to belong to anybody. We realized that these are mostly feral cats. 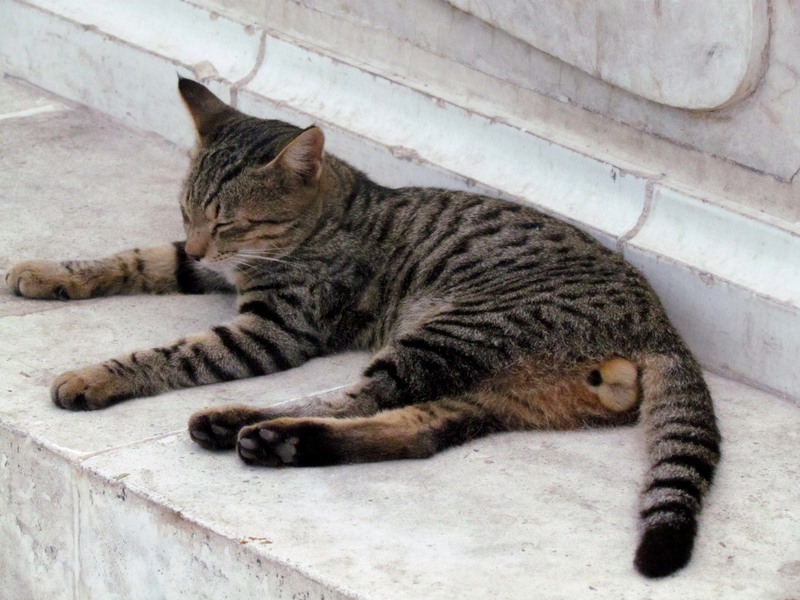 Another thing that I noticed was that there are more ginger cats than other colours, although there are all kinds and colours of cats on Zanzibar. That made me think even more, so I did some research and I came across interesting stories and facts about cats in Muslim communities. A ginger and white mom and her two kittens enjoying the early morning sun. On the island they make themselves comfortable wherever they find themselves. What I found is quite interesting …. In the 7th Century Arabs believed that the cat was pure spirited and pre-Islamic Arabs were said to have worshipped a Golden Cat. That is very interesting because there are more ginger/golden coloured cats roaming around than other coloured ones. The story goes that the Prophet Muhammad loved cats and adored his own cat, Muezza. One day when the call to prayers was heard, Mohammad found Muezza sleeping on the robe he wanted to wear to prayers. He did not want to wake the cat so he cut off the sleeve of the robe and left the cat in peace. The Prophet then stroked the cat three times, which legend has it, granted Muezza seven lives and the ability to land on his feet at all times. 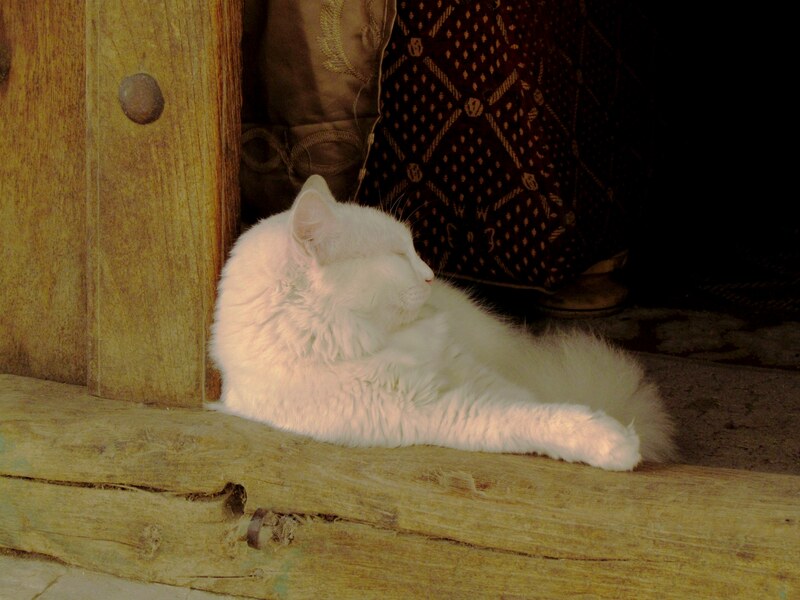 Whenever the Prophet delivered his sermons, Muezza would rest on his lap. The Prophet also did his ablutions before prayers and would drink from the same water as the cat. Islam teaches Muslims to treat cats well and that cats must be cherished and loved. 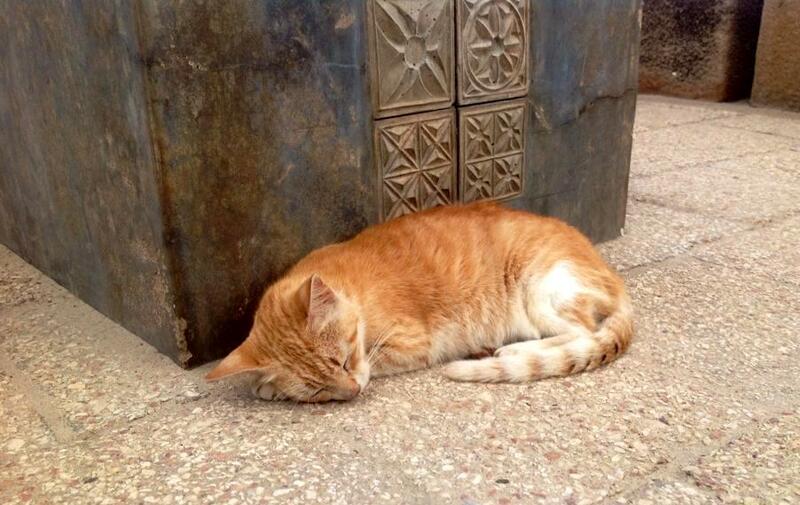 It is a severe sin to mistreat a cat in Muslim communities. According to the Qur’an and in oral storytelling, Muslims will be punished for mistreating a cat. For instance when a woman kept a cat locked up and failed to feed the cat until it died, she was tortured and sent to hell. That explains why cats roam around freely and are fed, but why nobody will take ownership of the animals. If something goes wrong, that person can be accused of mistreating the cat. The Prophet also said that a cat is not unclean and is “one of those who go around amongst us”. 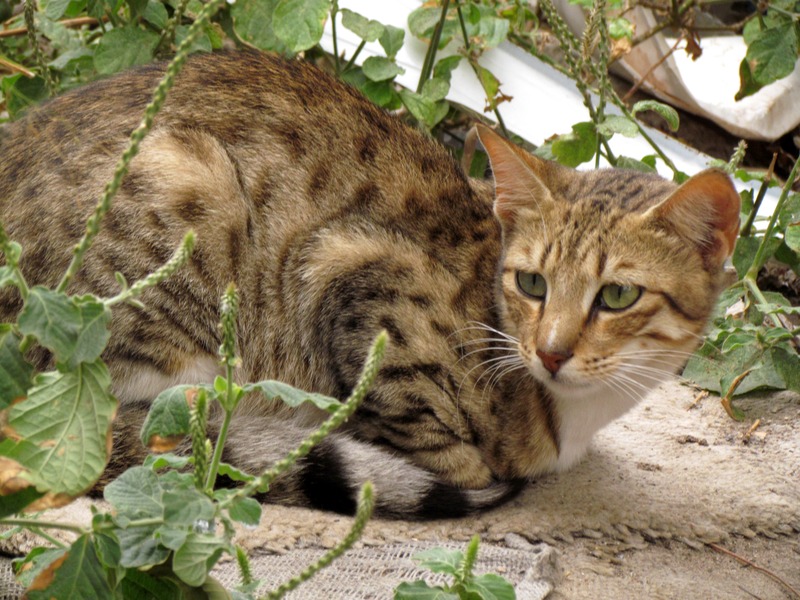 Islam alsp teaches Muslims that no cat should be sold for money or traded for goods, that a cat’s saliva is clean and harmless unless there are visible impurities in the mouth and that Muslims are free to live with cats as long as they treat them well well, provide them with enough water and food and allow them to roam. Unfortunately dogs are not regarded in the same way. Under Sharia they were declared unclean, so dogs are underfed and uncared for, as we saw on the island. 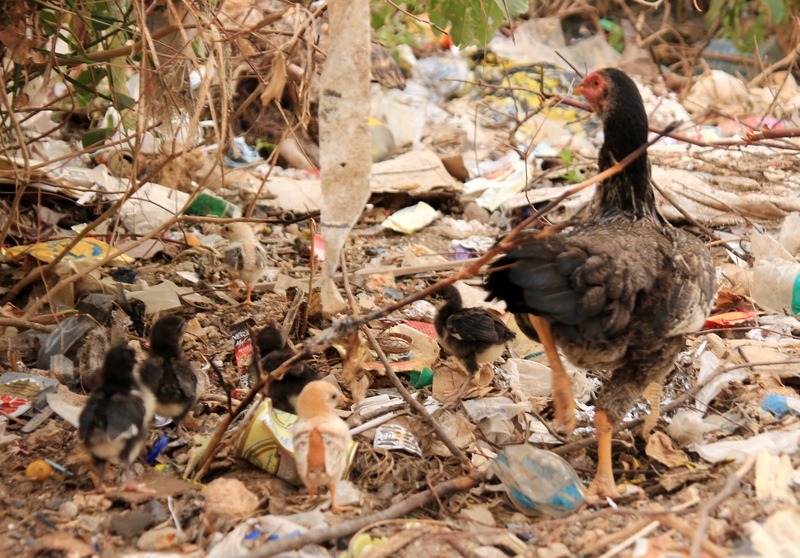 No matter where, when the bchicks need time to rest she will spread her wings and give them some shelter. 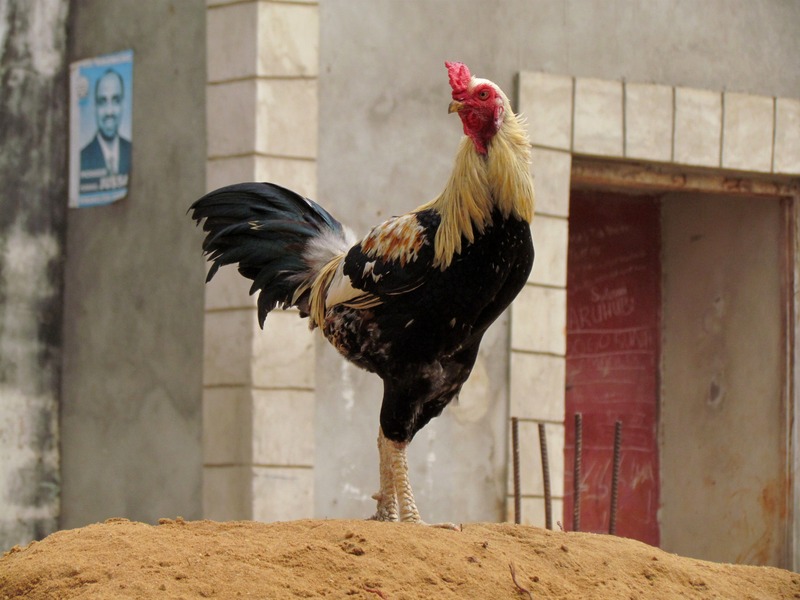 Chickens are also free roaming on Zanzibar. 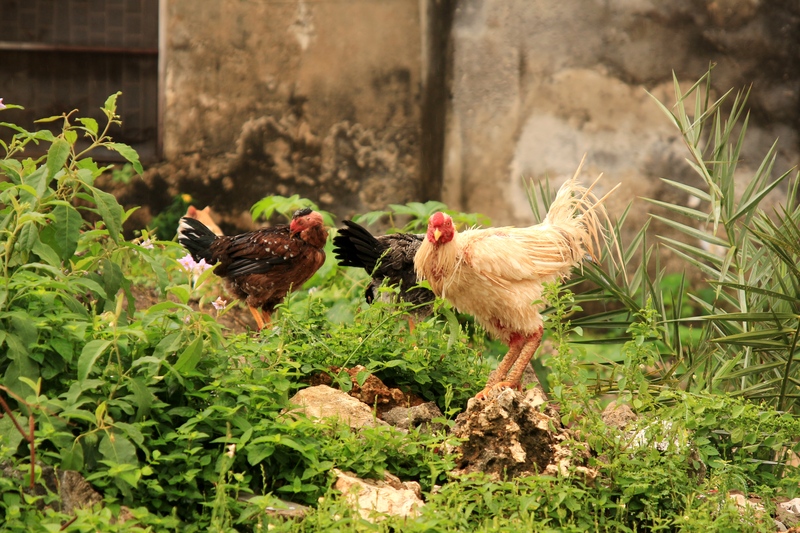 It does not matter where you walk in Stone Town, you will come across them scratching around looking for something to eat with hens sitting on eggs or tending to their chicks. 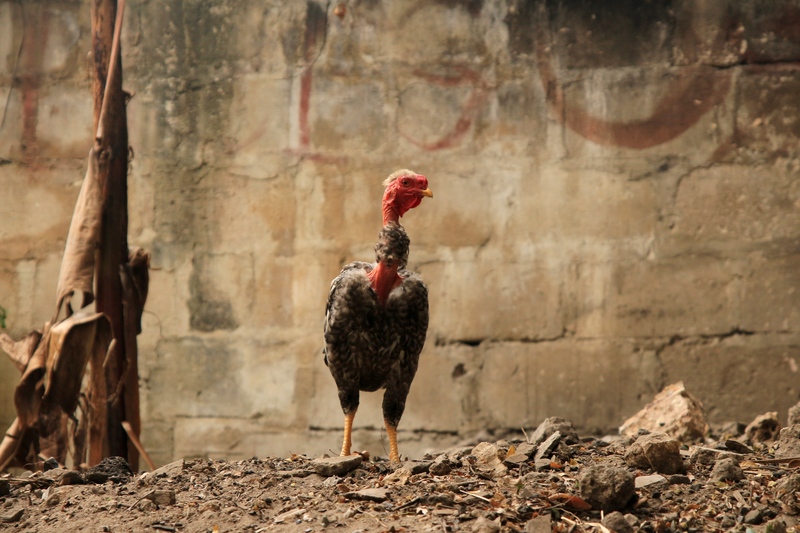 When we asked somebody to whom the chickens belong, he said to nobody really. 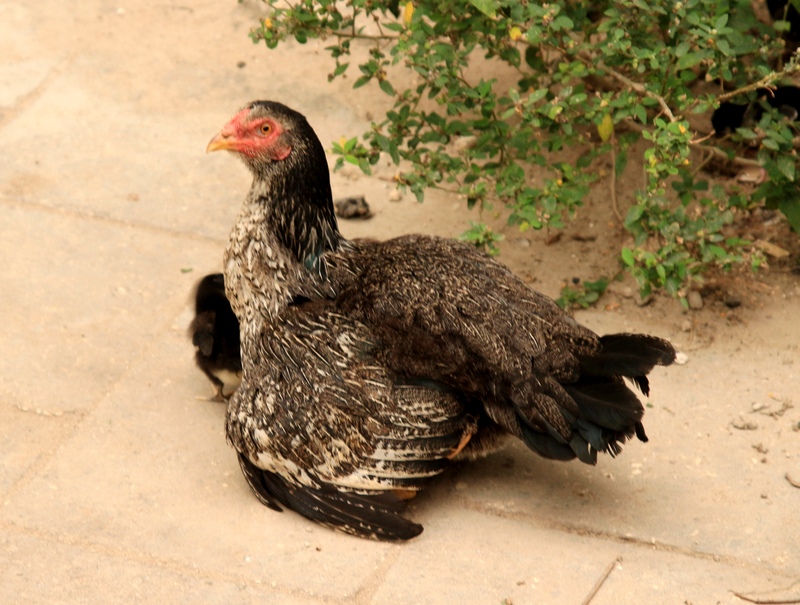 Nobody even knows where they lay eggs, another indication that people do not take any responsibility because if something goes wrong, they must own up to ownership. I also gave a thought to the hard working donkeys and oxen that you see in town and in the countryside. You often see donkeys pulling laden carts in Stone Town. I do not take photos of donkeys because the one time I did, I saw the most horrendous raw chafing sores on the poor donkey’s back where the cart was hurting him and I just could not get myself to take any more photos. 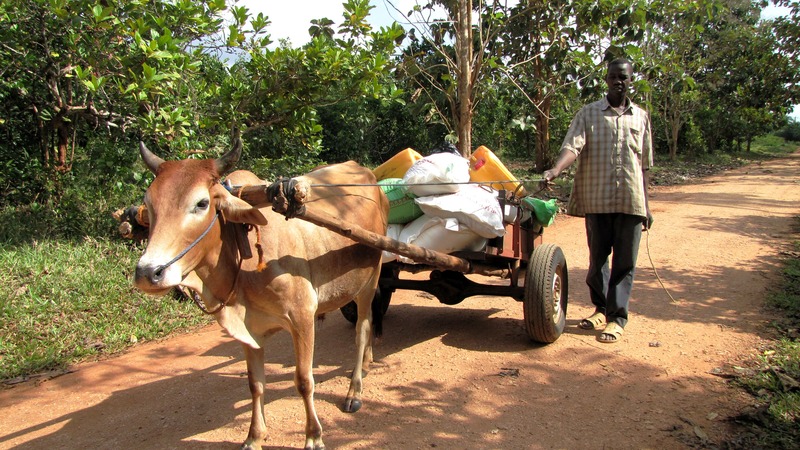 We were told that the donkeys can be compared to Nissan SUVs that can go into the narrow alleys in town while the oxen in the countryside are like Land Rovers, strong and sturdy enough to pull around carts filled with heavy loads of goods. The reliable Land Rover of the Island doing his daily job. 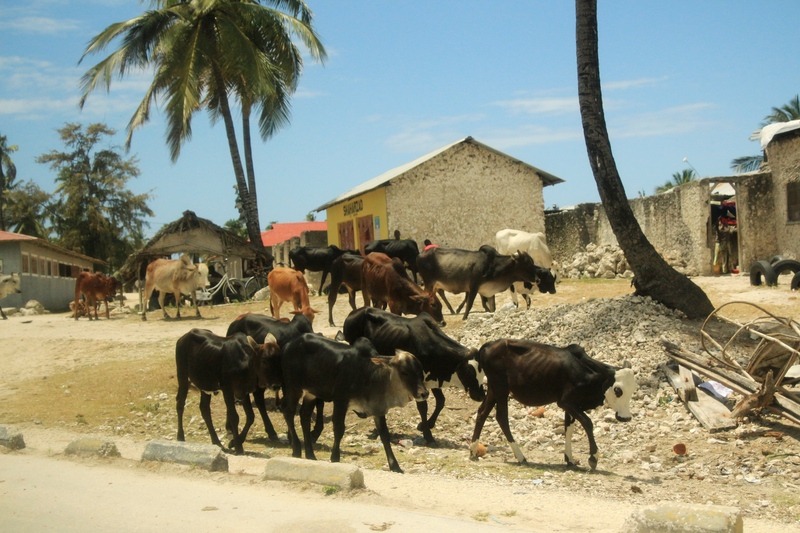 Apart from all of these animals there are also goats and cattle roaming all over the island. You will find them walking around and grazing wherever they can find something to eat. 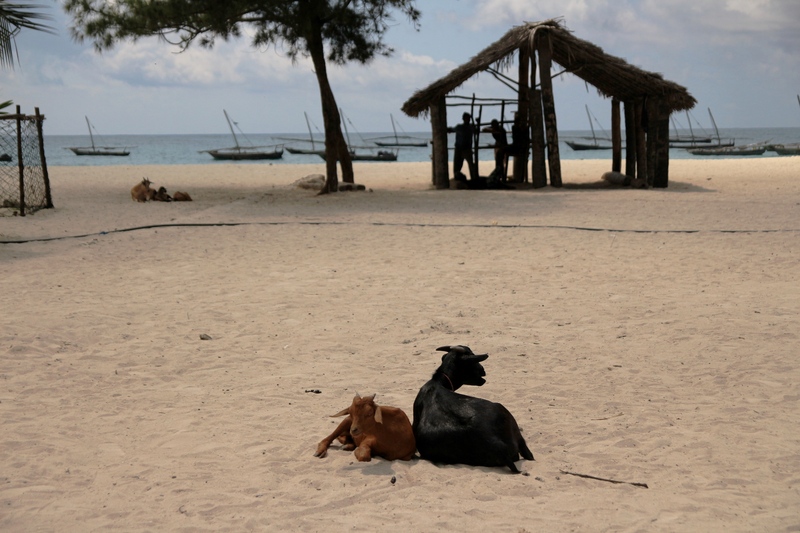 Fortunately the Zanzibar Animal Affection society keeps a lookout for any abuse of animals. Ever since I read about the way that cats must be treated I have been watching them every time we get to the island. The last time we were there in September 2014, I had more than enough time to do it over a period of two weeks and it was very interesting. Clearly it was breeding season because there were more kittens than before. 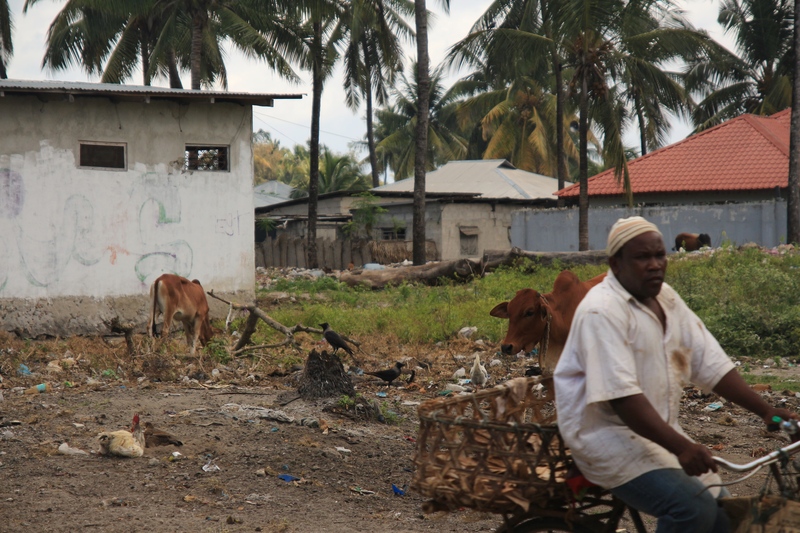 Because we stayed in an apartment in Stone Town, we experienced and saw more of the daily routines that go on in a suburb than what we saw when we stayed in a hotel, oblivious to the day to day living habits of the locals. 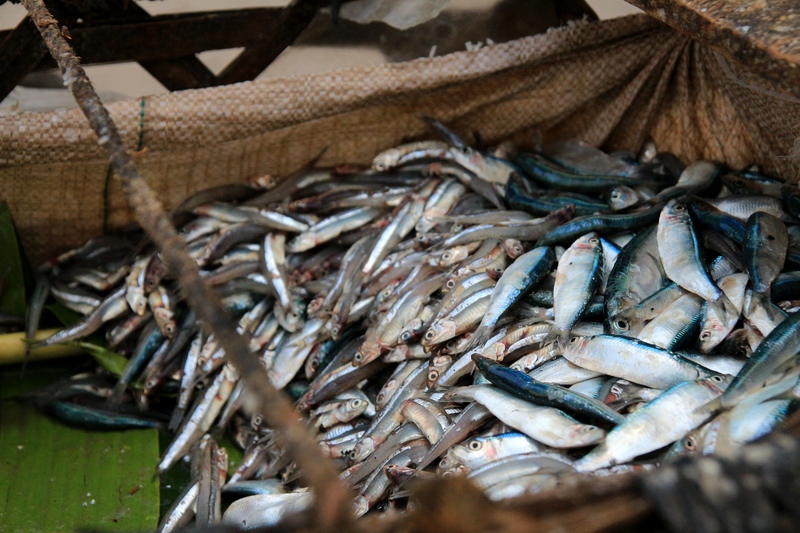 Every morning at about half past eight we heard a bicycle bell ringing and would see a fish hawker with a basket full of tiny fish come riding past. Cats follow him as far as he rides. He is known as the Kengele-kupigia (the bell ringer), not the Pied Piper. Every now and then he stopped to feed the cats with the guts of the fish he cleaned whenever somebody bought from him. The sound of his bell coming down the alley in front of our apartment will always stay in my head. 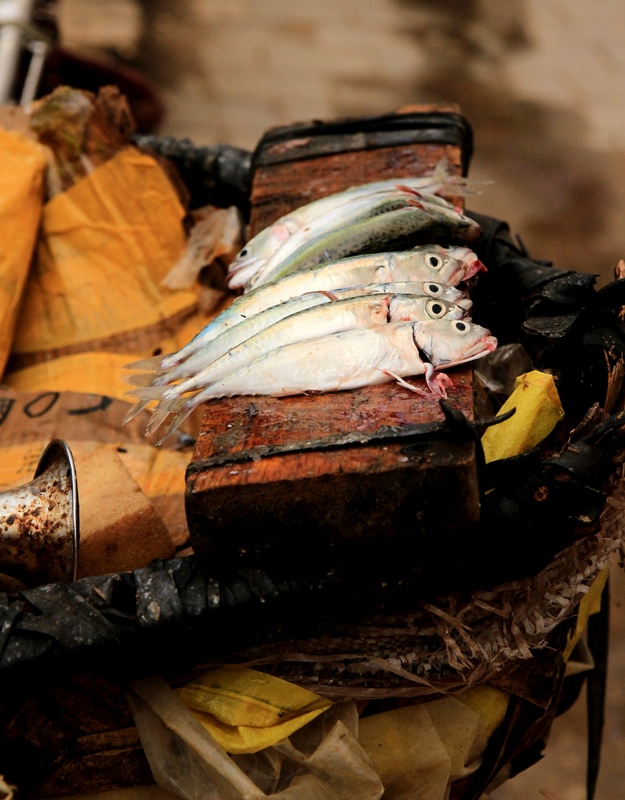 A basket full of small fish that the locals also buy from the hawker. At least now I know why there are so many pakas in Stone Town, and that there are people looking after them even though they do not belong to anybody.